i love your site, so sad there arent more comments. i appreciate you discussing these items because i like so many of them! 10(!) 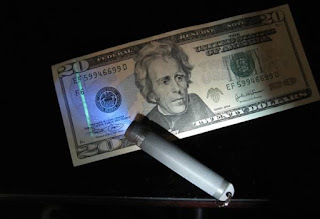 mini LED UV lights for $5 shipped. the site is in china and will take about 2 weeks to get, but they are a reliable company i've ordered from before. with the uv lights you know you will only be using them in rare instances to validate money and check for c*m stains on hotel beds. so it's best to have a tiny version. i'm also getting a small Red LED light from countycomm.com for those cases where you dont want to ruin your night vision.